In a shocking development affecting the acclaimed musicians of the carnatic tradition, it has come to light that artistes like T M Krishna, O S Arun and Nithyasree Mahadevan have been harangued by some fringe groups in India and the US for performing songs on Christian or supposedly non-Hindu themes. 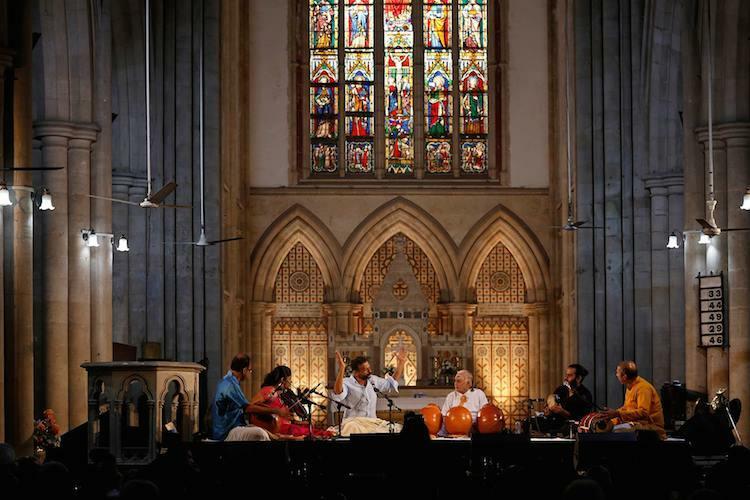 It has been reported that many musicians have received threats by right wing Hindu organisations, for bringing people and religions together on a musical platform. Some of them have been bullied into making apologies and cancelling concerts. O. S. Arun was invited by T. Samuel Joseph, a long time student and teacher of Carnatic music to render Carnatic compositions on Christ. Arun was attacked online and pressure was put on him to cancel. Within days, WhatsApp and social media clippings of Nithyasree Mahadevan rendering a Christian song also began circulating with comments to establish disapproval. Reportedly, the SSVT Temple in Washington DC which had invited T.M.Krishna to sing, cancelled the invitation at the behest of self-appointed Hindu gatekeepers. A statement condemning these attacks and asserting the freedom of speech, expression and religion of all these musicians (and the aficionados of their music) signed by about 200 eminent citizens has been released today. The statement initiated by Ashok Vajpeyi and Aruna Roy has been signed by former judges Justice A P Shah and Justice K Chandru and several senior personalities from the arts and culture fraternity. Girish Karnad, Shyam Benegal, Adoor Gopalakrishnan, Anand Patwardhan, Leela Samson, Shubha Mudgal, Malavika Sarukkai, Mallika Sarabhai, and Tripurari Sharma also figure among the signatories. In the climate of social policing and restrictions on writers, thinkers and artists, the ecent attacks on Carnatic musicians of repute, has again raised the sceptre of fear. This reflects the failure of the rule of law and constitutional guarantees. It is alarming that neither independent institutions such as the courts nor the governments whose duty it is to protect democratic space and freedom of expression, have stepped in to take decisive steps to end this menace. Many musicians have received threats by right wing Hindu organisations, for bringing people and religions together on a musical platform. Some of them have been bullied into making apologies and cancelling concerts. O. S. Arun was invited by T. Samuel Joseph a long time student and teacher of Carnatic music to render Carnatic compositions on Christ. H​e was attacked online and pressure was put on him to cancel. He cancelled citing personal reasons. Within days, WhatsApp and social media clippings of Nithyasree Mahadevan rendering a Christian song began circulating with comments to establish disapproval. The SSVT Temple in Washington DC which had invited T.M.Krishna to sing, cancelled the invitation at the behest of self-appointed Hindu gatekeepers. T. M. Krishna in a statement said:​”​Considering the vile comments and threats issued by many on social media regarding Carnatic compositions on Jesus, I announce here that I will be releasing one Carnatic song every month on Jesus or Allah”.